WingStreet complaints number & email. Get verified information about WingStreet complaints email & Phone number. If you wish to complain to the WingStreet, then call the complaints line on 626-791-0800 (1-800-948-8488). Should this not effect a satisfactory resolution to your complaint, then you can take the matter further by following the company's complaints procedure. Call the WingStreet on their complaint number in the first instance on 626-791-0800 (1-800-948-8488). If this does not resolve the issue for you, then you should write to the WingStreet via the online form on their website or by letter and proceed through their complaints handling process. If corresponding by letter, writing to your branch is recommended. 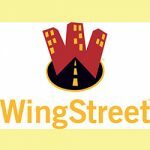 WingStreet is a restaurant chain specializing in chicken. The restaurant chain is owned by Yum! Brands. They are always co-located with Pizza Hut. In 2003, Yum! launched WingStreet as a hybrid combo unit with an existing Pizza Hut franchise. In 2007 and 2008, a thousand WingStreet stores a year were opened. Hopefully, We helped you to get some genuine records for WingStreet Complaint information. Use below complaint form to discuss problems you have had with WingStreet, or how they have handled your complaints. Initial complaints should be directed to WingStreet directly. You can find complaint contact details for WingStreet above.